Dent Repair Access refers to being able to actually get to a dent for repair. Each vehicle panel has most common methods of access. Dents on Door Panels are typically accessed by rolling down the window and inserting a window guard to protect the glass. A wedge is used to spread the gap between the belt molding and the glass itself. This gap is known as access. It allows the dent repair technician to slide a tool down to the level of the dent perform the repair. Technicians also access dents on rear door through the wiring harness; being careful not to damage the wires. Every now and then the drainage holes are used on the bottom of the door. Dents on Fenders have three common access points. The most used access is through the fender liner. This is typically not completely removed, but is loosened enough to allow the dent tool enough room to move around to complete the repair. The second fender access point is through the opening created by the headlight R & I. The third access point is by opening the front door and working through the openings being careful not to scratch the painted surface of the door edge or frame. Hail Dents occur most on the top panels, the roof, hood and deck-lid. The dents on the hood and deck-lid are accessed from underneath the panel by the insulator pad R&I. The dents are then repaired using rods in the open areas and brace tools or whale tails in the braced areas. The dents in the roof are some of the most difficult to access. The headliner and (sunroof if applicable) must be R & I -ed. This sounds difficult and complex however, they typically are only held up with a few screws and clips. For a trained professional, they are an every day no big deal task. This should not be tackled by a novice or Do-It-Yourself person. Side airbags could be compromised and headliners can easily be damaged or stained. For these reasons, this is the most expensive procedure used to create access for dent repair on automobiles. Dent repair access for Quarter Panels is achieved by R & I-ing the brake light or the interior trim. Dent Repair Access is one of the factors considered when estimating a dent or hail damage repairs. Easy dent repair access such as a typical dent in the open area of a door is usually not a significant part of the dent repair costs. Hail dents in a S.U.V. Roof with a sunroof and rear A.C. and a DVD player would be a significant increase in the cost of repair. Another factor that comes into play when discussing dent repair access would be physically being able to reach the repair area. Dents may be in a position where the technician cannot easily see or reach the dent making the repair more difficult or even impossible. When the is absolutely no access, glue pulling or drilling are sometimes used. 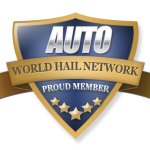 Read about the next term: Adjuster / Adjustor – a person who specializing in estimating hail damage.